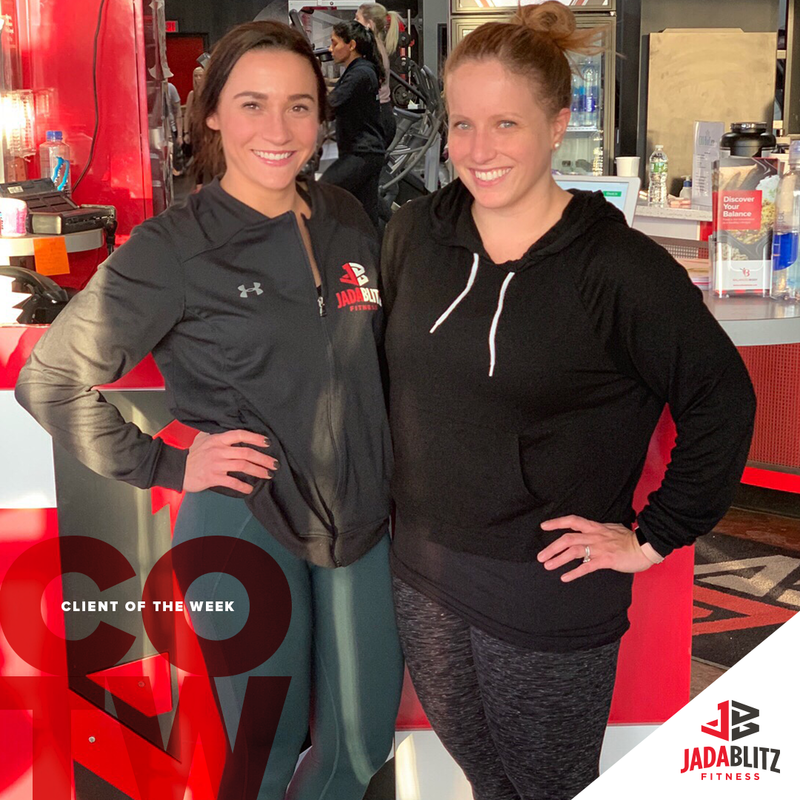 The opportunity to train with Jenny brought me to Jada Blitz – I followed her from another gym she previously worked at because her classes were my favorite and I saw incredible results from them! I love training 1 on 1 with Jenny because she constantly encourages me and pushes me beyond what I’d be willing to do on my own. Jada Blitz also has a very welcoming atmosphere that makes it hard for me to come up with an excuse to skip the gym. For anyone hesitant to join, I highly recommend it because every week I see trainers dedicated to working with clients who have different fitness goals and see first hand many successful results, including my own! I joined in late November wanting a jump start on my New Year’s resolution to get healthier before turning 30 and I’m already well on my way-I’m down on the scale, feel stronger, and am extremely motivated to keep going thanks to Jenny and Jada!